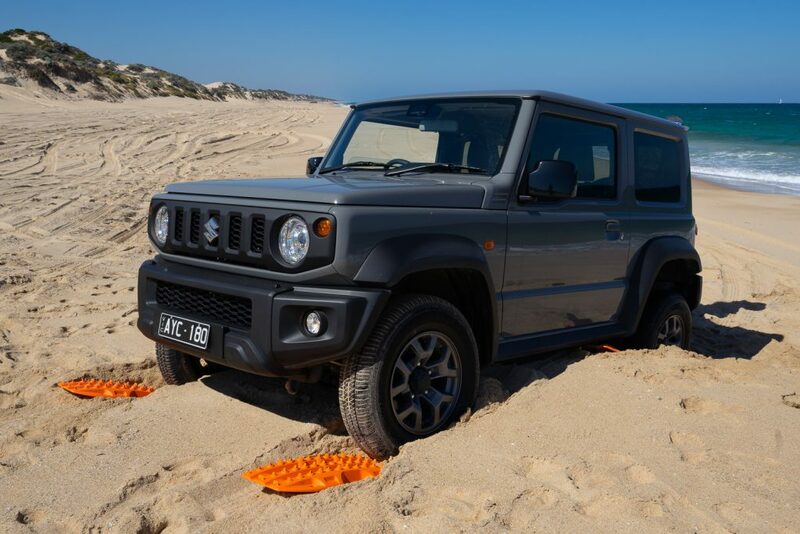 With the keys to a Suzuki Jimny press car in hand, a set of the new MAXTRAX Minis arrived at the perfect time to get them straight out for a test run. 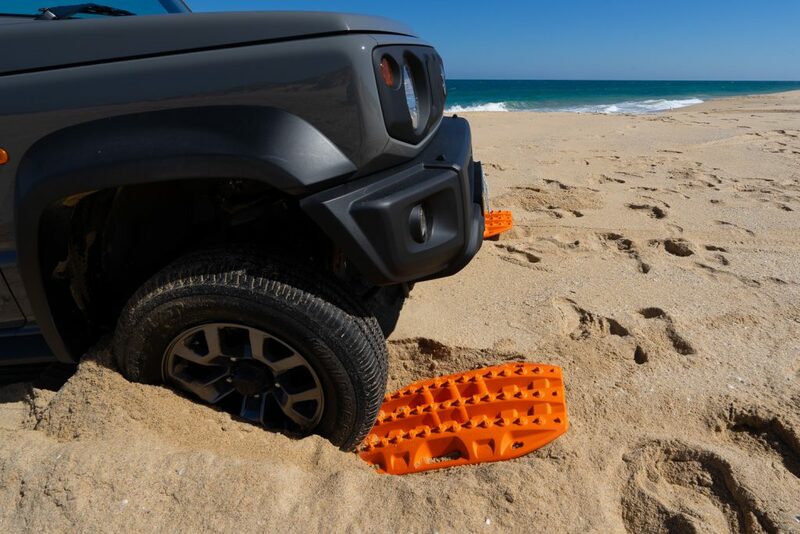 At 60% of the size of the original MAXTRAX, the Minis are designed as a more compact and lightweight tool for small 4x4s and SxSs (side by sides like the Polaris). 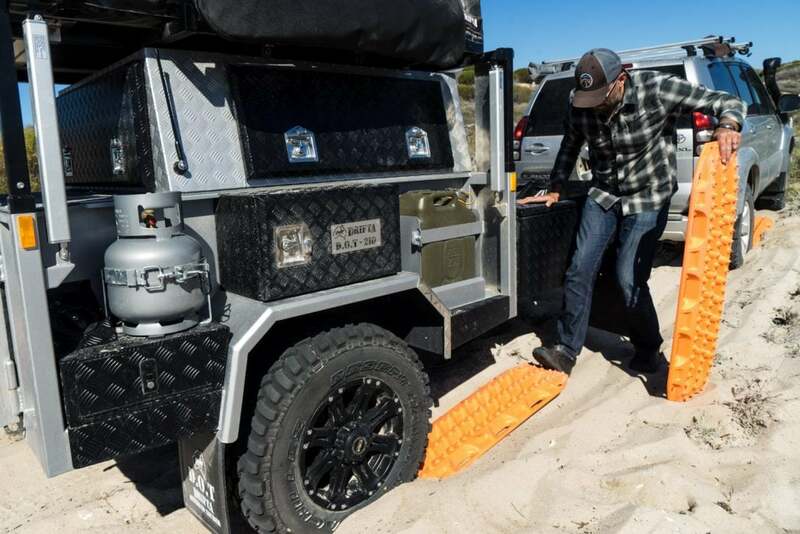 The operation of the MAXTRAX Minis is identical to the full-size MAXTRAX for those that have used them. 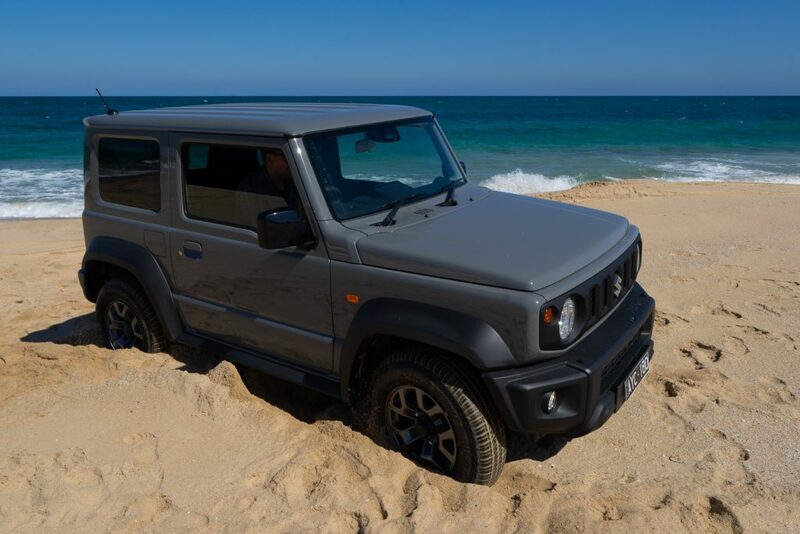 First, though, we had to set a solid challenge, and the roughly one tonne Jimny was proving to be almost impossible to get stuck. Finally, we found a solid step up. We purposefully bellied out and then throttled on to dig in as deep as possible. We were stuck, and we chose to try recovering forward and up to make the Minis work for it. 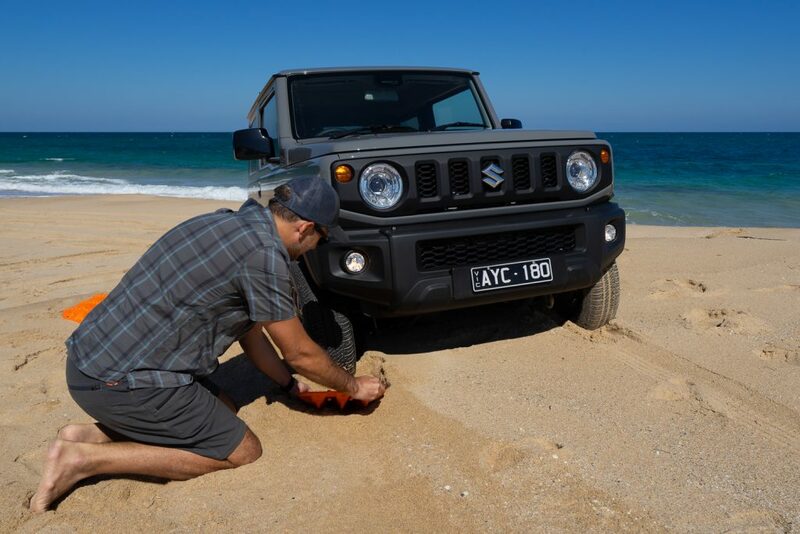 For those new to recovery boards, the trick is to remove some sand from under the leading edges of the tyres and jam them under. 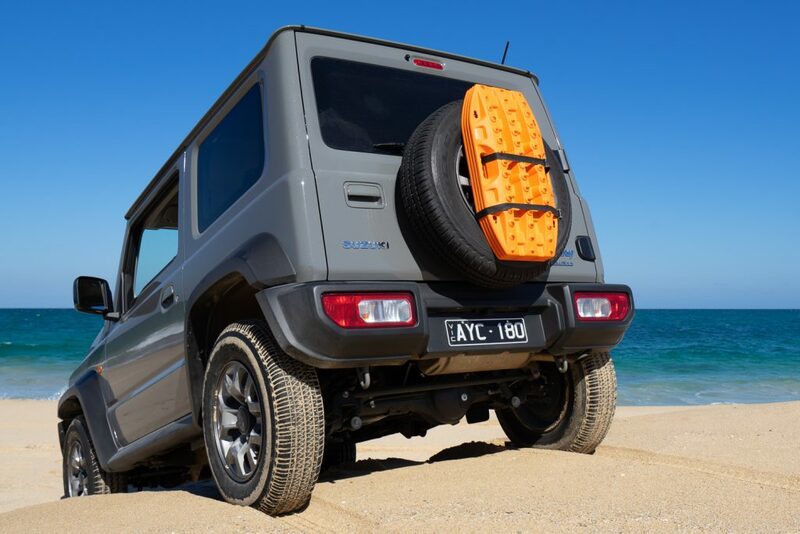 The tyres can then get traction easily, and the chance of success first time round is much higher. 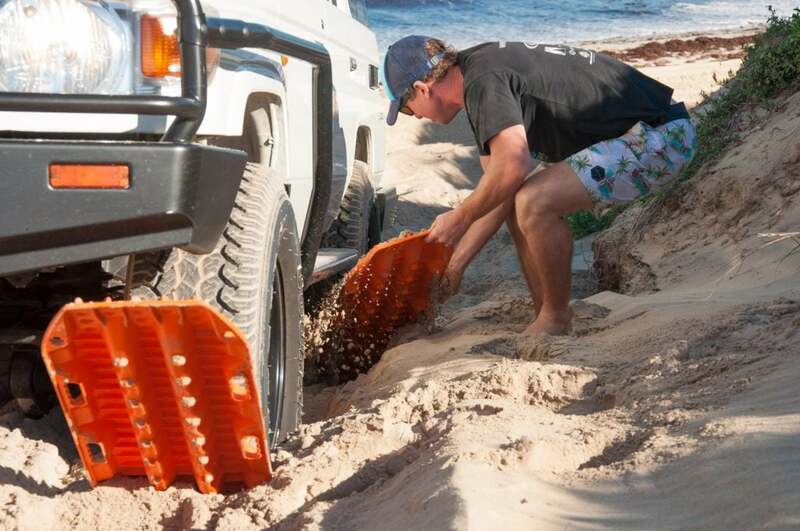 MAXTRAX are designed for shovelling. 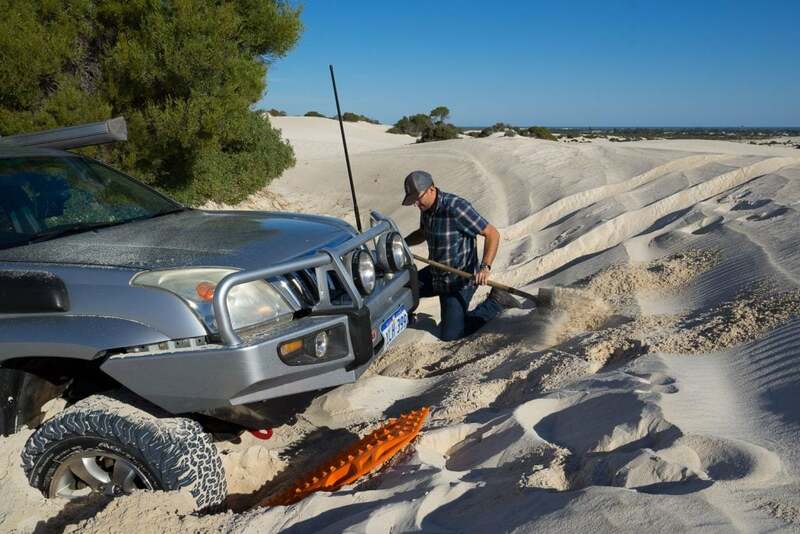 Your crew can grab one each and use the underside as a shovel scoop and the jib is done quickly. Once you are ready the trick is to go slow. 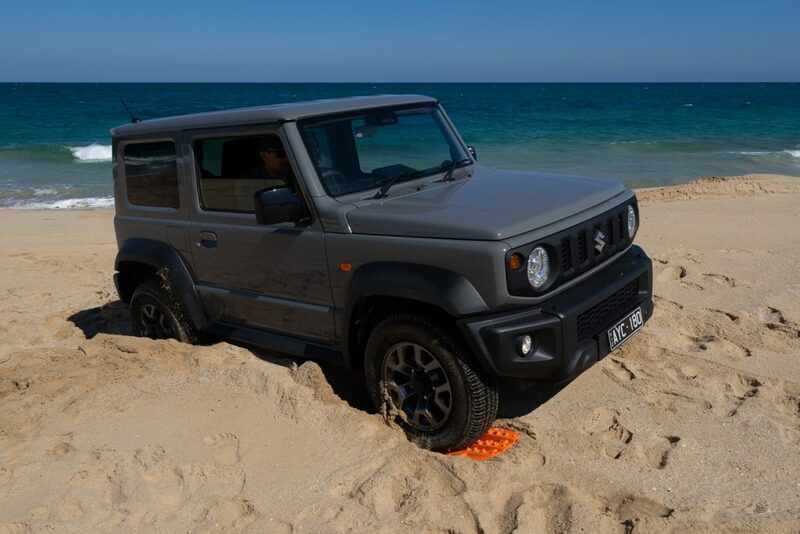 Low range and gentle throttle will make it easier for the tyres to get traction. Once they grip it’s usually a satisfying lunge up, forwards and unstuck! And that’s exactly what happened here. 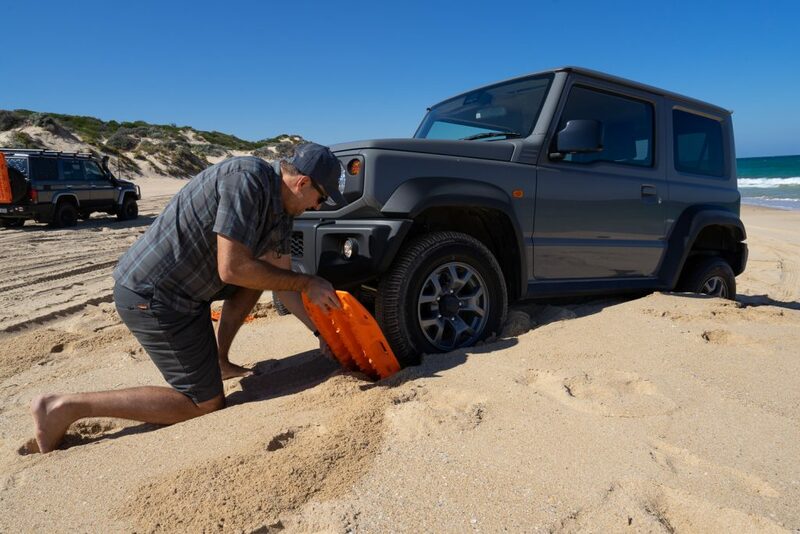 While undoubtedly bigger 4x4s are best suited to full-size MAXTRAX, the Minis would be perfect for any smaller vehicles that might hit the beach, snow or mud. Their compact form makes stowing a set, inside or out, a breeze. 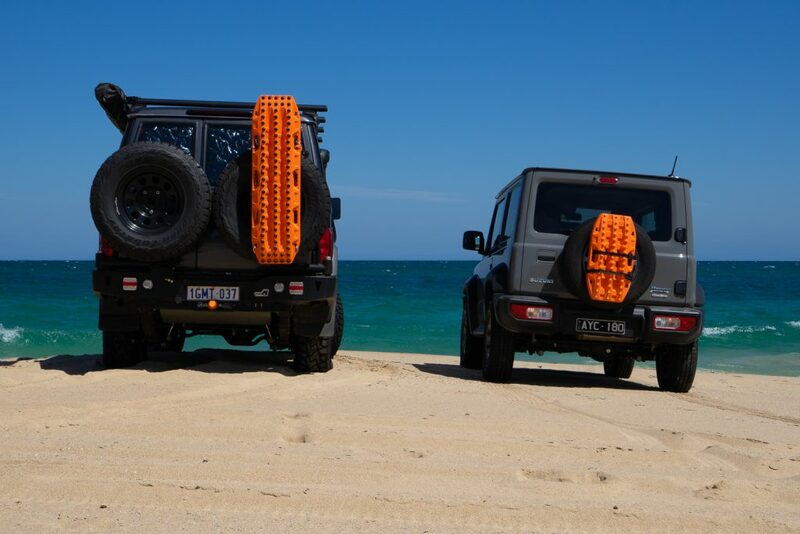 MAXTRAX Minis are built in Australia and are now available from MAXTRAX, MAXTRAX US and their dealers. Words Mike Collister. Photographs Mike Collister and James Mandy.